For teachers in Texas it is already legal to use “reasonable force” in disciplinary situations while being protected from prosecution. Now, there is a bill being considered by the state legislature that would allow teachers to use deadly force and still be protected in the courts. 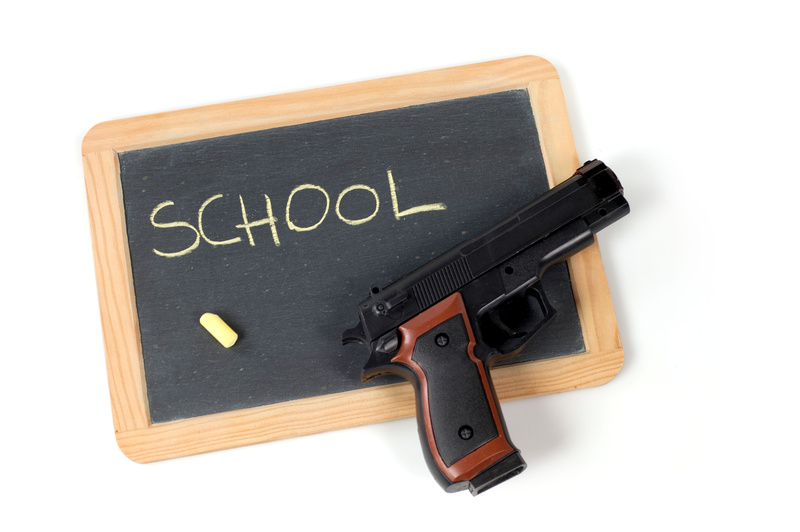 In Texas, it is already legal for teachers and administrators to carry concealed weapons. The decision whether or not to allow it is decided on a district by district basis. The Teacher’s Protection Act would allow teachers to use deadly force against students or anyone else on school grounds if they feel threatened. Under the new legislation, educators would avoid prosecution for injury or death that results from the teacher’s use of deadly force. Texas is one state that protects its teachers. The state already protects teachers from disciplinary actions if they use reasonable force against a student. The new law would let them use deadly force. Teachers in this district who carry a gun must have a license to carry, pass a psychological evaluation, and be trained in how to use the weapon. After the tragedy at Sandy Hook Elementary School where 20 students and 6 teachers were gunned down by a lone gunman, states have begun looking at what options are available to protect our children and teachers. As many as eighteen states allow handguns on campus as long as the carrier is licensed and has written permission from the school district. Alabama and Kentucky already have laws on the books that allow concealed carry on school grounds with proper training. Lawmakers in South Carolina, Florida and Tennessee are currently working on legislation that would allow properly certified school district employees to arm themselves. How do you feel about teachers being armed in the classroom?